Ho`okena Beach Park is the historical site for one of the last active Hawaiian canoe fishing villages in Hawai'i. Ho'okena has a rich cultural history and remnants of its old commercial steamship pier remain. 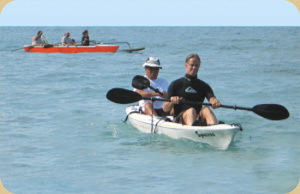 There are canoes strewn across the beach owned by the fishermen who continue traditional Hawaiian fishing practices passed down from their ancestors, if you are lucky you may see the fishermen launch their canoes or come back with a bounty full of fish. The beach is an exotic blend of a wide variety of coral and fine, gray sand. Depending on the time of year, the ocean is placid and the clear, blue waters reveal spectacular underwater landscapes and a colorful array of fish, when there is a south swell, watch the local boogie boarders masterfully ride the near shore break. The sunsets are amazing and the sunrise above the pali (cliffs) are breathtaking. Ho`okena Beach Park is an excellent place to camp under the stars, listening to the soothing, sound of waves crashing on the beach then waking up to a gentle, sea breeze to a spectacular view found nowhere else. Reserve a campground permit right here!